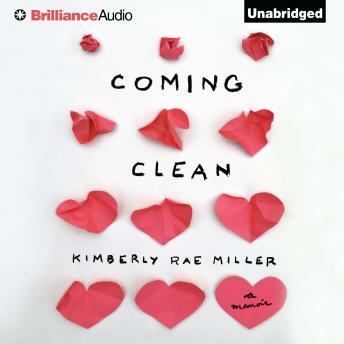 In the spirit of The Glass Castle, a stunning memoir about growing up in a family of extreme hoarders Kim Miller is an immaculately put-together woman with a great career, a loving boyfriend, and a beautifully tidy apartment in Brooklyn. You would never guess that behind the closed doors of her family's idyllic Long Island house hid teetering stacks of aging newspaper, broken computers, and boxes upon boxes of unused junk festering in every room - the product of her father's painful and unending struggle with hoarding. In this dazzling memoir, Kim brings to life her experience of growing up in a rat-infested home, hiding her father's shameful secret from friends for years, and of the emotional burden that ultimately led to her suicide attempt. And in beautiful prose, Miller sheds light on her complicated yet loving relationship with her parents that has thrived in spite of the odds. Coming Clean is a story about recognizing where you come from and understanding the relationships that define you. It is also a powerful story of recovery and redemption. Fascinating story and interesting to hear about the effects of hoarding on loved ones. Beautifully written and very interesting story of a girl That been raised by hippie parents as an only child in Long Island. OCDs, love, anger and accomplishments. Fascinating and highly recommended! Very interesting. Narrator has a soothing voice and it is enjoyable to listen to her tell her story.